Sometimes we have to step out of the fast lane and just make things for fun..as was the case with my latest adventure. My favorite parts about this project..
1. It was organic. In that, I mean I just moved with the flow and let it develop naturally at each stage. 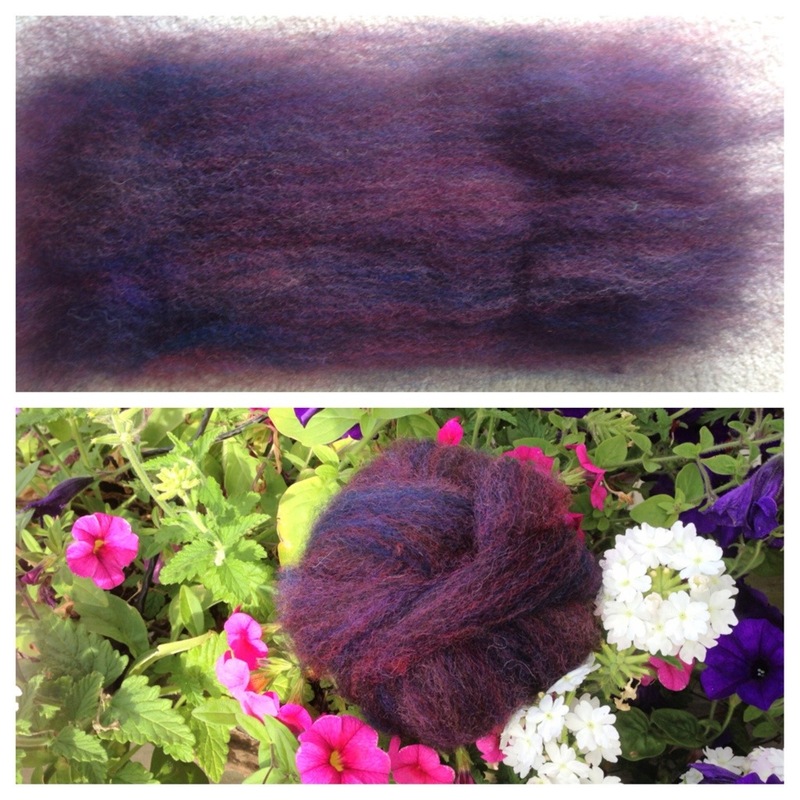 I wanted to dye the fleece I had washed and blend it on the carder. The picture above is grey wool, dyed in equal parts of purple, red, blue, and pink. It matches the flowers beautifully. 2. I didn’t follow a pattern, I just made what I needed for my alpine camping trip. 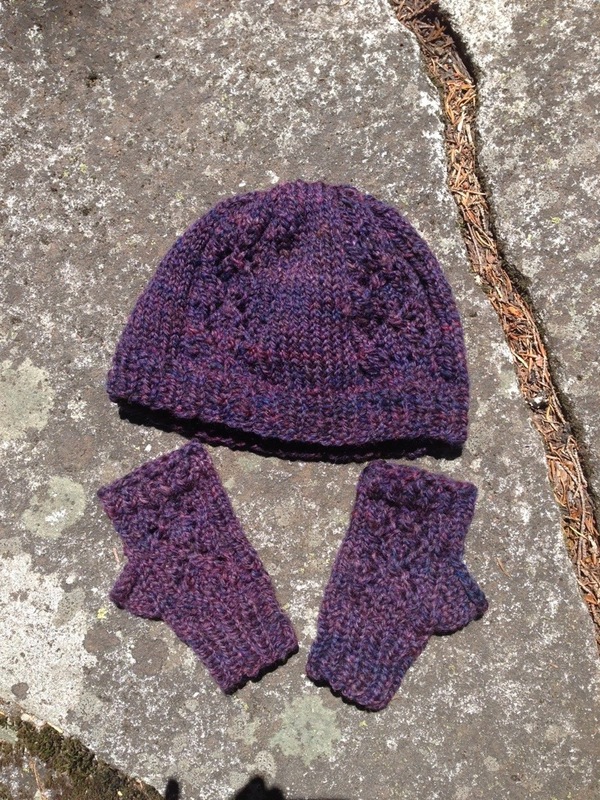 Hat and mitts. 3. I love projects that fit within 4 ounces of fiber for quick fixes. So the question is…where to go next? Spin on! This entry was posted in Fleece Processing, knitting, Quick Projects, Real life? and tagged handknit, handspun, knitting, Spinning by Leah. Bookmark the permalink. Thanks!! The view was breathtaking–we don’t often have skies that clear in this area, so it’s awesome to be in the right place at the right time! Beautiful view and lovely hat and hand warmers. Thanks!! I am finally getting to the point where it is more liberating than intimidating!! That is a *good* place to be. Congrats! I love that philosophy of 4 oz projects! 😀 The colors are gorgeous both in the batt as well as in the final projects! 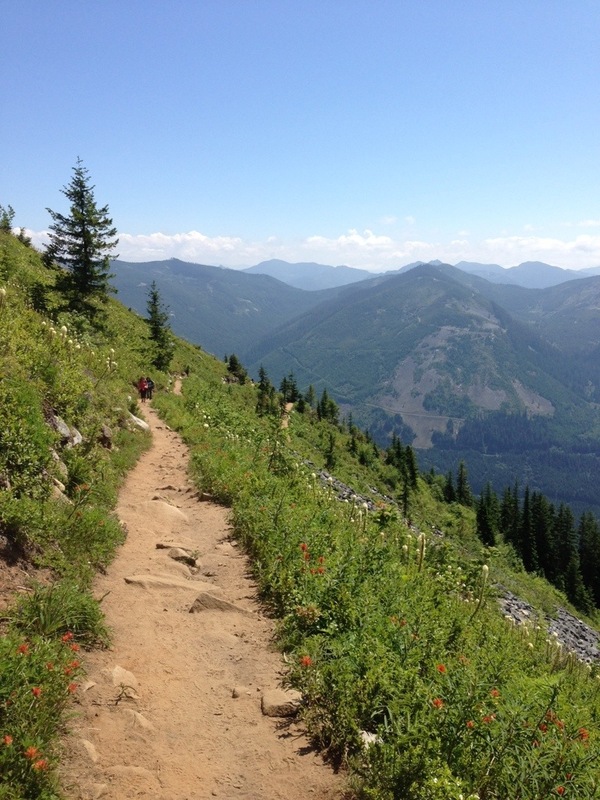 As to the view… I’m still drooling, lol!